Selin Demirel was born on 24 April 1998 in Istanbul. She began musical education with guitar at age of 8. 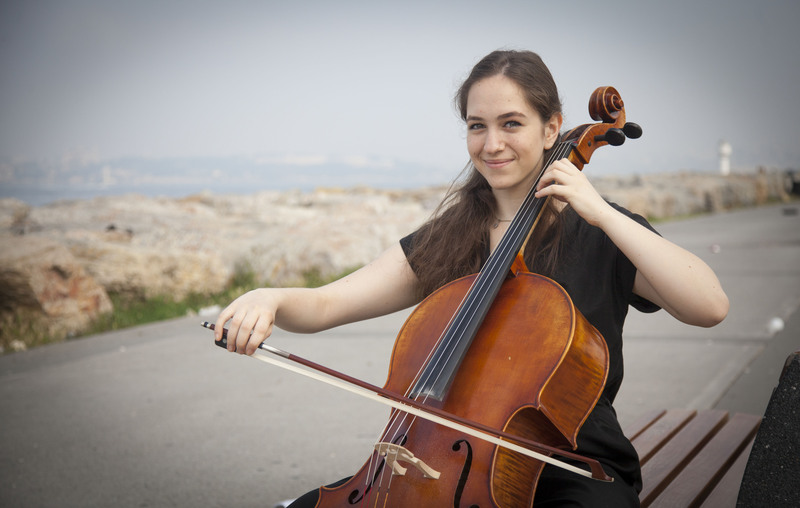 She began the cello at age of 11 when she entred the Istanbul University State Conservatory, Bow String Instruments Department, lectured by Prof. Eldar İSKENDEROV. She completed the elementary department of Istanbul University State Conservatory as top student with an outstanding success. She took the opportunity to work with the lecturers from Istanbul Technical University, Mimar Sinan Fine Arts University as well as Istanbul University when she participated to “Open Conservatory” event organized by İKSV on 17 June 2012. She participated to “Vivace Vilnius” festival that took place at Vilnius-Lithuania on 22-30 July 2012. She performed as an ensemble soloist and played Hungarian Rhapsody of David Popper during the master class of Ignacy Grezelazka. Choosen as soloist to play Cello Concerto of J.Christian Bach in Youth Concert of Yeditepe University Sepmphony Orchestra conducted by Orhan Şallıel on 17 May 2013. Took the 3rd place on 17th International Young Musicians Chamber Music Competition on 2014 in Edirne. Trio concerts with Musa Albükrek and Nükte Uğurel are broadcasted by TRT 3 Radio on 20 January 2014. She studied in Detmold Hochschule für Musik in 2014-2015 school years as ‘jungstudent Hochbegabtenzentrum’ (highly talented young student) with a scholarship, and studied with Prof. Alexander Gebert. She continues to her music carrier with the chamber music group ‘Fernweh Duo’ that she established with Ela Cansu Bekgöz on 2015. Played the Joseph Haydn’s Cello Concerto No.1 with Collegium Musicum der VHS Reckenberg-Ems Orchestra on 2016. Selin Demirel continues her education in Hochschule für Musik, Theater und Medien Hannover -Hannover while she actively participates the master classes of Istvan Varga, Maria Kliegel, Wolfgang Boettcher, Henrik Brendstrup, Larissa Groeneveld, Dennis Parker, Marco Misciagna, Anatoli Krastev, Susan Varga, Sinan Dizmen, Tilmann Wick, Elinor Frey and Ditta Rohmann ustalık sınıflarına aktif olarak katılan Selin Demirel, şu anda eğitimini ‘nda sürdürmektedir.